Last year we reported on a movement to bring back native populations of oysters. They are vital to the health of San Francisco Bay. Olympia oysters filter algae and sediments so underwater plants can grow, and they help create habitat for fish, crabs and birds. Oysters also contour the bottom of the Bay and help protect against storm surge and sea level rise. In spring 2017 and 2018, 350 people participated in an experiment to see whether it is possible to reduce the effects of the invasive Atlantic oyster drill (a predatory snail) on native Olympia oysters at two sites in Richardson Bay. 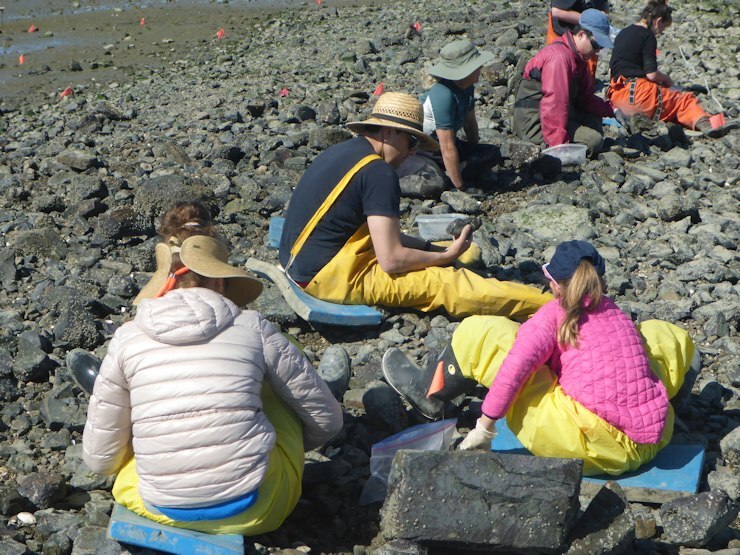 The experiment was part of a $153,000 grant-funded project aimed at involving local volunteers and classrooms in the Olympia oyster restoration effort. The Olympia oyster, which measures no more than 1.5 inches in diameter when fully grown, once was plentiful in the Bay. More than 29,000 of the predatory snails have been removed from two sites in Richardson Bay over the yearlong experiment with hopes that it would help the oysters thrive. The effects of those efforts and potential next steps for drill management and oyster restoration in the Bay will be discussed at a public meeting on Oct. 27 from 2 to 4 p.m. at the Richardson Bay Audubon Center, 376 Greenwood Beach Rd Tiburon. There is no charge for the event, but please RSVP to Alison Cawood. There will be light refreshments after the talks and a tour of the Audubon Center.